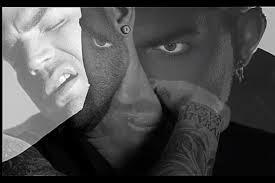 You are here: Home / Adam in the Media / Adam Lambert’s Ghost Town Video Premiering Tomorrow!! Adam just tweeted with a timeline for his Ghost Town video that will make all his fans happy! It’s happening TOMORROW/TUESDAY April 28th online at etonline.com at 4:30 PM PST/7:30 PM EST. ***EDIT: According to a tweet 10 minutes ago from adamlambertfans.com, it will be shown on Entertainment Tonight, TONIGHT! They say it’s on CBS at 4:30 PM PST/7:30 PM EST. Check your stations because my San Diego CBS airing is 7 PM. Adam gave us months to wait for the Ghost Town song debut and that day finally came last week. We still have a little while to go for The Original High release, so waiting just one more day for this will be an easy one! Come back to this site and click here to see it. Reminder, this is online not on television. But don’t forget to set your DVRs for Thursday’s Ellen. Adam will be on singing the world television premier of Ghost Town! See you there!! I am so excited for this news Carol. Didn’t hear this until I saw your post. I will be taping ET for sure. This is online, not on TV. I don’t want you to miss it ! But set your DVR for Thursday for Ellen. Adam will be on singing Ghost Town! glamity58, check the edit above. We just found out it will be on television tonight. Sorry for the confusion! Just read you post & just wanted to thank you for the head’s up. Have needed some new Adam music for awhile now. He’s looking so grown up & different these days. I just bet he has something really new & different. He always does. Again Carol, Thanks! You’re welcome Jackie! I’m really excited to see what he’s got new too! Watched the video dozen times already. OMG It’s great. Recognized some of Adam’s friends. Adam looks hot as ever.